The Sri Lankan government goes into the current session of the UN Human Rights Council with several accomplishments to show. These are primarily at the level of change of spirit and less as concrete changes that can be quantified. It is difficult to quantify the impact of the lifting of fear of agents of the state and their associates acting with impunity, of white vans into which people disappear and the attitude of confrontation. But these have transformed life in the country. The passage of the Right to Information law in Parliament unanimously, without a vote and therefore without division, is an indication that there is broad acceptance in the polity, to which the government gives leadership, that good governance is good for all. In addition, the government has been able to showcase the draft law setting up the Office of Missing Persons, which is one of the four transitional justice mechanisms that it promised to establish at the October 2015 session of the UNHRC. There are many other changes in the political and legal framework that will infuse a new spirit and atmosphere into the country, such as the draft constitution, the preparation of which is proceeding more rapidly than anticipated. The Steering Committee appointed by the Constitutional Assembly formed out of the whole of Parliament for evolving proposals for a new constitution will be submitting its interim report that will give an outline of its preliminary proposals for constitution-making soon, as early as next month. The promise of the new constitution will be, amongst others, to provide a lasting solution to the issues that embroiled the country in three decades of violence, which led to war, to massive human rights violations on all sides and to war crimes. With these changes in the offing, and those that have taken place, the Sri Lankan government is unlikely to face opposition or even strong criticism from the international community or from the member countries of the UNHRC when its performance over the past year is appraised by the UN High Commissioner for Human Rights Zaid Al Hussein during the present session of the UNHRC. The main issue on which it may be questioned is whether it is fully implementing the resolution of October 2015 that it co-sponsored. 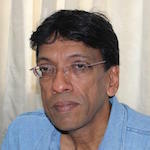 The government has yet to deliver on many commitments, including repeal of the Prevention of Terrorism Act, restoration to people of land taken over by the military, the significant reduction of military presence in the North and East and, most controversially within the country and internationally, the issue of the nature of involvement of foreign judges and legal personnel in a Sri Lankan judicial mechanism. However, the Foreign Minister also made it clear that it was the Sri Lankan government that would decide what should be done in regard to reform and to resolving its problems. It is the government that has to take the political decisions as to what should be given priority to, and what it can do, given the need to take the population along with it. The departure of UK from the EU is an important reminder that it is necessary for a government to be able to take the people along with it and to be pragmatic when it comes to the people deciding. In the UK the political establishment, the elites, the intellectuals and also the international community were solidly in support of the UK remaining within the EU. But still the vote to remain in the UK was lost. Similarly, in the case of Sri Lanka, it would be futile if the government were to seek to satisfy the international community, but find themselves rejected by the people. The gulf between the communities still remains wide. This is reflected in the repeated demands by the Northern Provincial Council for a federal solution in which there will be the merger of the Northern and Eastern provinces. Both of these demands, which are long standing ones from the Tamil polity, have little or no support from the rest of the Sri Lankan polity. Most people in the country who do not know what federalism is nevertheless believe that it is the equivalent of a separate state or will soon lead to it. Similarly with regard to the full implementation of the 13th Amendment to the constitution, which the government is legally obliged to do, there is no agreement on the devolution of land and police powers, with the communities taking opposing positions on these issues. The convincing majorities with which the government has been able to ward off challenges to itself, such as the no-confidence motion against Finance Minister Ravi Karunanayake which the government prevailed by a big majority of 145 votes to 51, and the unanimous passage of the Right to Information bill in Parliament does not necessarily reflect the strength of the government and its allies in terms of public popularity. People are disappointed with the government for a number of reasons, ranging from failure to demilitarize, release land and find missing people in the North and East, and to the rise in the cost of living due to unpopular taxes and shortage of job opportunities that affect all parts of the country. These discontents could lead to popular rejection of enlightened top-down government initiatives of transitional justice and constitutional change as in the case of the Brexit referendum where nationalistic parochialism triumphed over universal values. This suggests that the government will be looking to give priority to domestic politics over international expectations in implementing the UNHRC resolution. It also needs to build support among the people for the coming political changes so that the values of a “multi-ethnic, multi-religious, multi-lingual, multi-cultural nation” as described by Foreign Minister Samaraweera in his Oslo speech, prevail over nationalist parochialism. The (Sinhalese)people” did not want to be fair to the ethnic minorities and hence the Sinhalese leaders have been satisfying them to get their votes to win elections. When will that change if 68yrs haven’t changed their mindset? Who will change it? It’s the duty of true leaders to change the mindset of the Sinhalese. Very curiously President Sirisena told the visiting IFRC Chief on 3 March that it’s the people of the North and the East who are the victims and hence it’s the people in the South who must be responsible for reconciliation and that it must be inculcated in their mindset. Then after the visit by FCO Chief civil servant and DfID chief civil servant, he mentioned it again but never took it up as an important duty on his part. A fair proportion of the Sinhalese population voted for this non-Nationalistic government. Therefore the mindset has in fact changed. People want and care for peace. Whilst there will always continue to be racists and nationalists (and which nation does not have them?) The rights of the minorities will be protected by the law. Tamils voted AGAINST Rajapakse because he was very oppressive. Sinhalese voted AGAINST Rajapakse because he was corrupt(mainly). Nothing much is being done about any of these concerns. Is law ever followed in Sri Lanka? Esp with respect to Tamils? While the MFA tells UNHRC something 2 days back, SriLankans are told nearly the opposite by the President and the Prime Minister inside Sri Lanka. What the MFA tells the international community he never tells the Sinhala masses! This has been going on for decades. Recently Kofi Anan has asked Africans to go to ICC. In the case of Sri Lanka it isn’t a signatory of Rome Statute. Geopolitics will not allow UNSC to take Sri Lanka to ICC. In view of the UN and in view of SriLankanBuddhism Tamils are doomed. the values of a “multi-ethnic, multi-religious, multi-lingual, multi-cultural nation” as described by Foreign Minister Samaraweera in his Oslo speech, prevail over nationalist parochialism. MANGALA IS THE WORST HYPOCRITE. HE USE THESE WORDS TO CHEAT THE INTERNATIONAL COMMUNITY. SO FAR THERE IS NO CHANGES IN THE APPROACH TO TREATING MINORITIES EXCEPT LIP SERVICE. We have had our versions of **exits. One was in 1956 – the Ceyexit (then were Ceylon). Since then we have had several Lankexits. All the **exits provided meat for the politicians but a slice of stale bread to Lankans. The 2013 & 2014 UNHRC commentary on Lanka were somewhat scathing. Lankans thought that following the 2015 UNHRC discussion, the 2016 will be a breeze. This is not to be. Lankans can expect several Lankexits. No matter what the UNHRC dictates are the govt must act in the interest of the nation, just as the Brits did on June 24th. UNHRC is an entity as aloof as EU, an organisation of bureaucrats far removed from realities on the ground; acting with impunity with their interests in mind and, geopolitical interests of big powers. At no stage should Sri Lanka sacrifice its national interests; unitary state, land powers and police powers with the centre. The new constitution in the making must reflect equal opportunities for all and mechanisms to enforce there will be consequences for those who discriminate on grounds of ethnicity, religion and gender. There need not be further visits to UNHRC following such a constitution and UNHRC will be relegated to the dustbin as will EU (in due course). British referendum is not about Hitlers genocide murders. It is only about selling Lanakwe’s lands to China to fund the war weapon purchase with commission. So Jehan PhD should stop cheating other, by saying if British people voted to get out of EU, The Wildlife Sanctuary Lankawe’s SinhalE will also vote against implementing resolution or investigating the Genocide. Any land sold to China must have had a referendum, if Britain is having a referendum to stay in EU. Tamils were genocide in Lankawe. So they must holds an Scotland style referendum to find out if the Tamils wants to go separate. But, in one thing Goverment was clean on its talk. The election promise was No leader, No Commander, No Soldier Investigation. Ranil went to New York to meet UNSG Ban-Ki-Moon with Old King’s blessing. Ranil blocked the Rome Treaty. Tamils were never confused about the New Royal’s position. Goverment is falsely explaining that they have to go more towards China because EU has lost its “might” because Britain exit. In fact why Lankawe is going towards China is only political reason, not economical reason. British-EU referendum has nothing to do with Lankawe’s China woo. Kanangara went against West’s opinion to give estate Tamils’ hard work earned rubber to buy Sinhalese farmers free rice in 1952. They, now, are using it only to blame West the way they blamed Tamils. They blamed SJV because he asked for Federal States only Solomon West Ridgeway Dias backtracked his call for Federalism. Everybody accepts that but two important VIPs are not even close to get it. One UNHRC High Commission Prince Zied. Other one is American State Secretary John Kerry. Mangala openly said that Condeleezza was a good friend of Lanakwe but not John Kerry. But Secretary is plaqued with Sinhala Intellectuals. He can do nothing about it. Sri Lanka must EXIT from its maligning racial, prejudicial and corruption cultures without delay. Jehan Perera has written well. However, let us cut to the last…..
the government will be looking to give priority to domestic politics over international expectations in implementing the UNHRC resolution. It also needs to build support among the people for the coming political changes so that the values of a “multi-ethnic, multi-religious, multi-lingual, multi-cultural nation” as described by Foreign Minister Samaraweera in his Oslo speech, prevail over nationalist parochialism. There will be NO progress and NO harmony UNTIL the Government of this country puts an end, without any further delay, to the utterly deplorable and insidious activity of the BBS and its surrogates who tour the country spreading racial division and hate and leave communities paralysed with fear and mistrust. WHAT is stopping this government putting an END to this cancer in our country? Another Fantastic article by Satyajit Das. Much of what he observes is probably applicable to ECTA. e.g. “The reality is that experts [and elite] no longer relate to ordinary people.“ In essence, for those who believe they are born to rule, Brexit signals the need to limit democracy to ensure that important decisions are left to self-certified experts or as EU Martin Schultz said: “It is not the EU philosophy that the crowd can decide its fate”.